“Indian Horse” is a pretty rare book in that it gives a vivid picture of old time traditional Ojibwe life that included strong family and clan ties, hunting and gathering, traditional ceremonies, and storytelling. All of these are described in a believable and lyrical way. The words are beautiful. What writer Richard Wagmese adds to this cultural depiction is an unexpectedly fascinating depiction of ice hockey and the way his protagonist evolved to become one of Canada’s best known players. I know what you’re thinking. What? Ice hockey? She’s recommending a book on ice hockey? Bear with me, please. 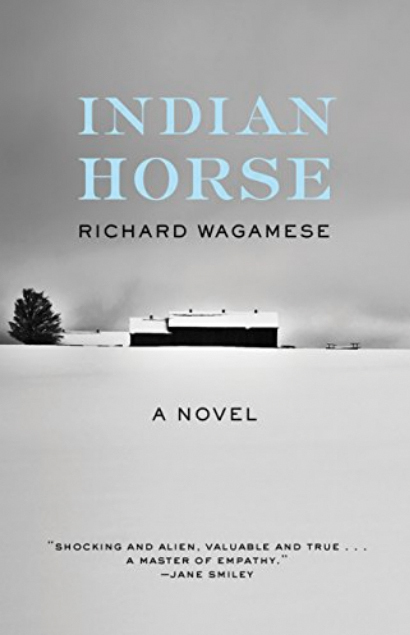 Richard Wagamese is a writer of such skill that he makes the story of a small Ojibwe boy’s dream to learn to skate and learn hockey simply breathtaking. Consequently, my delight with this book is more than appreciation for a writer’s talent. 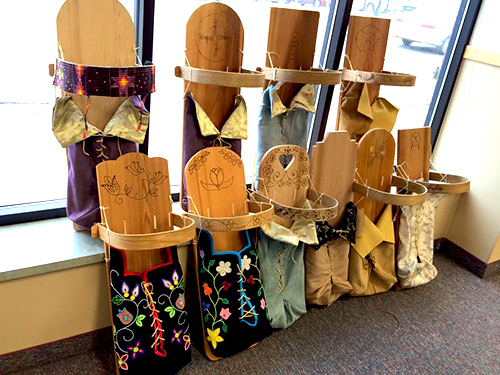 First, Wagamese opened my eyes to a traditional Ojibwe way of life in northern Ontario in the 1950s and 1960s, and later described the cruel experience of forced attendance at boarding schools. Others have written about those things, which takes me to a second reason for liking this story. No American Indian writer to my knowledge has introduced the mystery and elegance of ice hockey into a story. Wagamese’s ragtag hockey team in badly fitting uniforms played its most cohesive best on an ice rink located behind a community center during a blizzard. And they did that time after time, year after year. The weather never inhibited the enthusiastic game spectators either, who showed up in support of the local team no matter what. 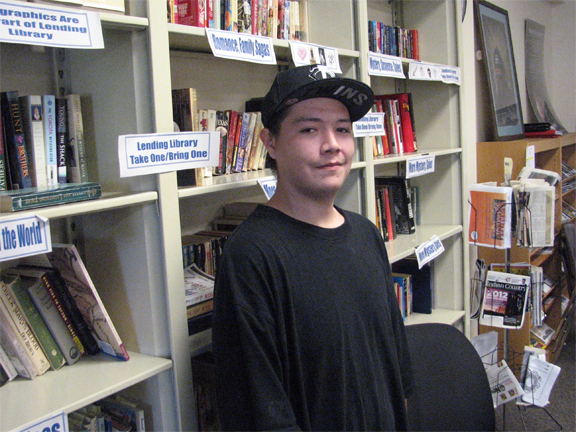 The story is narrated by Saul Iron Horse, Ojibwe, from Winnipeg’s Fish Clan. The book opens with Saul as an adult alcoholic in a treatment facility. His counselor tells him to tell the story of his life because it is the only way to set himself free from the bottle and the life that led him there. This is a coming-of-age story. Saul’s family, with his grandmother Naomi as matriarch, lives an isolated traditional life in order to avoid the government employees who steal children and place them in boarding schools designed to take the Indian out of them. Ultimately Saul is placed in one of those schools where he witnesses the violence, sexual assault and cruelty rained on Indian children. A priest takes an interest in quiet Saul and introduces several boys to televised professional hockey. The priest forms what becomes a powerful boy’s hockey team and Saul becomes a star player. At first he is fascinated with hockey, but is too young to play. So he becomes the team ice rink snow remover, shovels the snow, and teaches himself to skate. Saul can do more than skate extremely well. He was born with an unusual talent for assessing the opposing team and setting up moves that led to scoring. His talent caught the attention of professional scouts and it is at this level of play that things start to fall apart. The racism that has followed Saul throughout his hockey years becomes too much to bear and he begins to lash out. Events from childhood contribute to his rage, and he decides to return to places from his childhood which were traumatic in some instances, and magical and beautiful in others. Also glorious? A scene describing Saul’s re-entrance to a hockey rink at the end of game. It could bring tears to your eyes, or make you blubber outright like a baby. Ahem. What’s most certain about “Iron Horse?” The book will bring understanding and compassion to your heart. Keep Kleenex nearby. Richard Wagamese (1955-2017) was one of Canada’s most well-known and talented novelists, and won many national awards. The book was originally published in 2012; this reprinting is by the Milkweed publications, Minneapolis.